All 118 units in the 14-story tower being built by Joseph Fallon on Fan Pier have been sold. Brokerage firms in Boston said they have no idea what kind of prices the units commanded. Developer Joseph Fallon is moving ahead with plans for a second condo tower, now that he has buyers lined up for all 118 units in the 14-story waterfront palace he is building on Fan Pier. But some in the local real estate industry still wonder about his approach with the first tower, known as Twenty Two Liberty. Fallon Co. often spurned buyer’s brokers and kept most of the sales in-house, something brokers say is unusual, even with luxury properties like this one. The tower’s success — and Fallon’s approach — is a statement about Boston’s real estate market, in which projects like Millennium Tower continue to redefine the upper limits of luxury in the city. It’s also a testament to the developer’s vision for the site. What makes a good tower? A development boom is going to reshape Boston’s skyline, which raises the question: What’s a good tower, anyway, and what’s a bad one? Fallon and his financial backer, MassMutual, made a big bet on the future of Fan Pier a decade ago by buying 21 undeveloped acres, largely consisting of windswept parking lots. Construction started slowly at first, with the Institute of Contemporary Art opening in 2006 and a solitary office tower going up in 2010. But now, the pier is a beehive of activity, with scientists hustling into Vertex Pharmaceuticals’ new headquarters, diners visiting trendy restaurants such as Babbo and Empire, and construction workers climbing girders as they put the pieces of Twenty Two Liberty together. This condo tower will be smaller than the glass-walled office towers next door, and more exclusive. 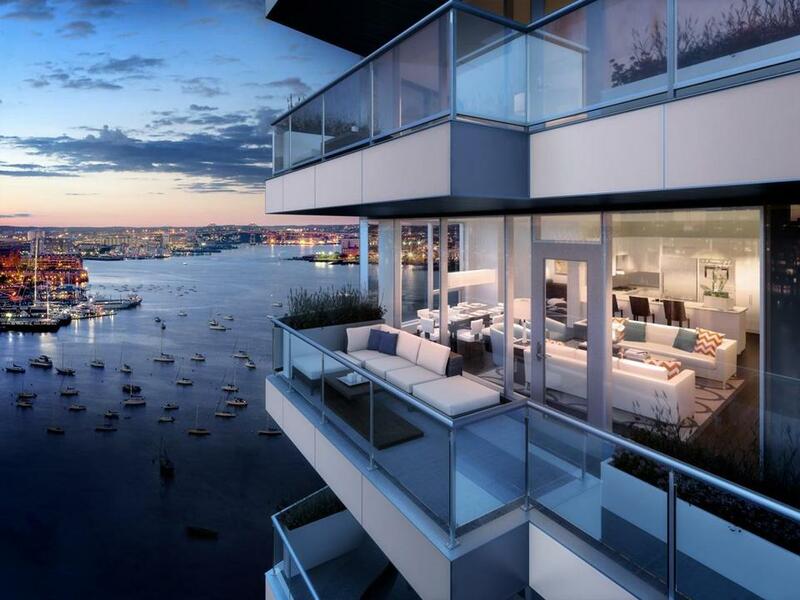 Each condo unit at Twenty Two Liberty will have floor-to-ceiling windows and a terrace. Mystery shrouds its marketing: Brokerage firms in Boston say they have no idea what kind of prices Fallon commanded for these units, which range from a 500-square-foot studio to a 3,500-square-foot, three-bedroom penthouse. The buyers’ identities also remain a mystery, although the prices and buyers eventually will be a matter of public record, once the transactions close. It’s hard to find comparable properties, given the lack of new waterfront inventory. CL Properties, a luxury brokerage in Boston, says a roughly 2,500-square-foot condo at nearby Rowes Wharf is on the market for nearly $4 million, for example, and a 1,600-square-foot condo there is selling for nearly $2 million. A number of buyers at Twenty Two Liberty agreed to buy two units and combine them. The condo mergers will bring the total units there to around 110 by the time the building opens in the fall, Fallon said. Marketing and construction began in the fall of 2013. All of the condos have substantial deposits from buyers attached to the units, he said. Executives at Fallon Co. can tick off the amenities: the underground parking garage, the easy marina access, the 2,000-square-foot fitness center, the city park that will spring up right outside. But the biggest factor, they said, is the unparalleled views. 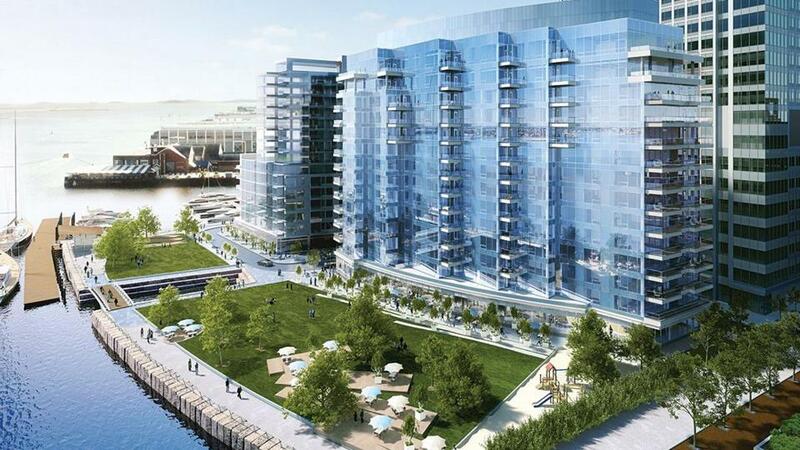 Most of the units offer waterfront vistas, and some will show off Boston’s skyline and the harbor in a 270-degree vista. Each unit will have floor-to-ceiling windows and a terrace, Fallon said, and some balconies will be 50 feet long. The windows in the Fallon Co.’s office at the first Fan Pier tower offer buyers a good sense of the kind of scenery they would be seeing every day. Fallon said he handled sales internally to ensure prospective buyers had what he called “the best possible customer experience,” including a high degree of customization. Fallon said his waiting list of interested buyers exceeded the number of available units by several hundred. He said some buyers brought in their own brokers, but the majority of sales at Twenty Two Liberty were handled in-house. Fallon said he plans to start work on Fifty Liberty, a similarly sized condo building next door, in September on the site where Louis Boston’s store is located now — and to use a similar marketing approach. Louis Boston, doing business in a temporary modular structure since 2010, is expected to close this summer. A rendering of Twenty Two Liberty. Vivien Li, president of the Boston Harbor Association, said she is not surprised that Fallon’s condos at Twenty Two Liberty have sold out. 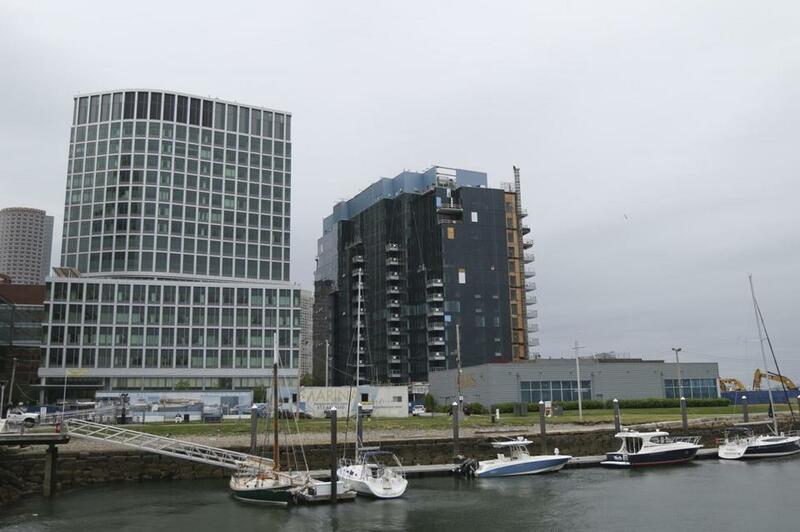 After all, she said, the city has not seen any new waterfront condos since the InterContinental opened on Fort Point Channel roughly eight years ago. In comparison, brokers said they have been invited to bring buyers to Millennium Partners’ luxury condo tower in Downtown Crossing — and to receive some commission revenue in the process. “They want you to bring your buyer there,” said Dave Stenberg, manager of Boston operations for Hammond Residential. 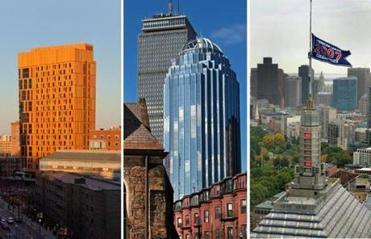 The same, he said, has been true for other relatively new luxury towers in Boston, such as the Clarendon and 45 Province. For these high-end projects without habitable units to show off in a tour, “the brokerage community understands that the people on site are in the best position to present the product [with] models, floor plans, finishes,” Stenberg said. Wolvek, the Gibson Sotheby’s agent, said that although he doesn’t know the prices Fallon received for the Twenty Two Liberty condos, he believes the developer left money on the table by not working more closely with local brokers.